1/4 teaspoon of minced garlic (or garlic powder. I didn't have garlic powder so I used minced garlic). 24 uncooked medium shrimp, peeled and deveined. Step 2: Whisk the egg, milk and minced garlic in another bowl. If you're using garlic powder, mix the powder in the third step. Step 3: Combine breadcrumbs salt, dried basil, dried parsley, onion powder and garlic powder (if you're not using minced garlic) in a third bowl. Step 4: Gently press shrimp into flour to coat it, dip into the egg mix and press into breadcrumbs. 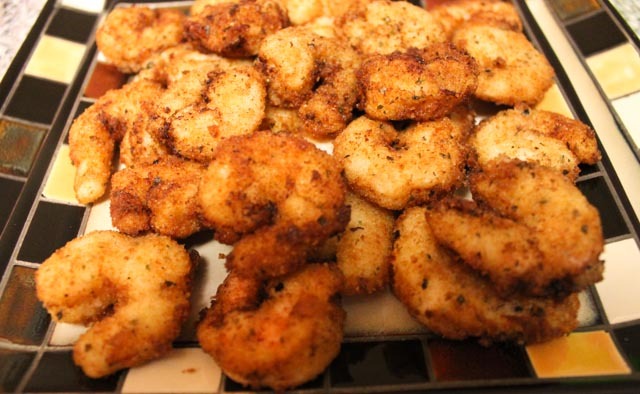 Place the breaded shrimp onto a plate while breading the other ones. Do not stack them. 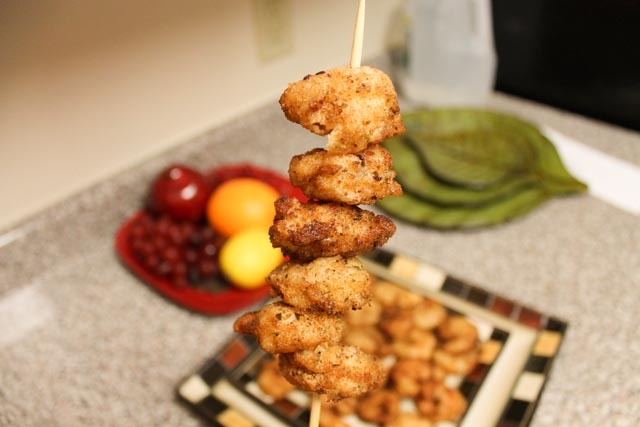 Step 5: Heat oil in a deep-fryer or large saucepan to 350 degrees F. Deep fry breaded shrimp in preheated oil until golden brown for 3 to 4 minutes. Then transfer the shrimp to a paper towel-lined plate to drain. And you're done!